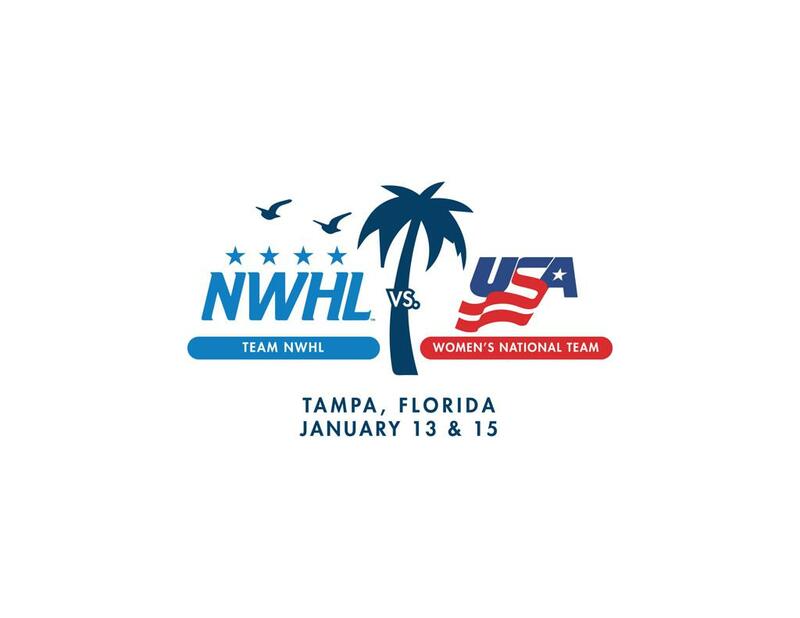 December 14, 2017 – The National Women’s Hockey League today announced that a squad of top players from the NWHL will face the U.S. Women’s National Team in games on Jan. 13 and 15, 2018 in Florida. The exhibition games with Team NWHL will be the final tune-ups for Team USA in preparation for the 2018 Olympic Winter Games in PyeongChang, South Korea. Start times for the games will be 6:15 pm on Saturday, Jan. 13 and 2:15 pm on Monday, Jan. 15. Both games will be at the U.S. Women’s National Team’s training complex at Florida Hospital Center Ice in Wesley Chapel, Florida. Team NWHL will be comprised of players from all four franchises: Boston Pride, Buffalo Beauts, Connecticut Whale and Metropolitan Riveters. 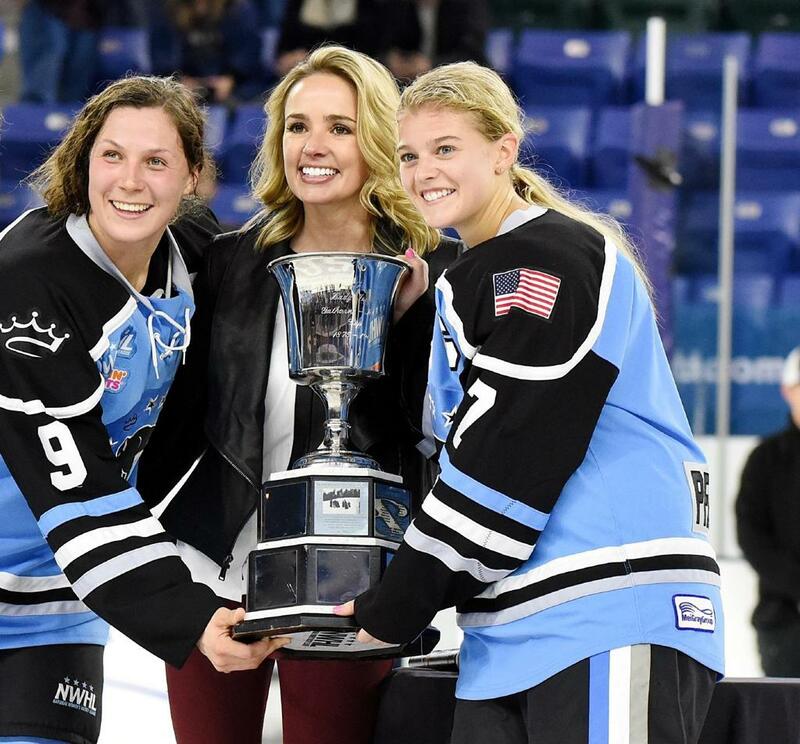 The general manager of Team NWHL is Hayley Moore, the league’s deputy commissioner. Moore, in consultation with the coaches of all four NWHL franchises, will select the team. Team NWHL will be led by Riveters head coach Chad Wiseman, with assistance from Boston coaches Thomas Poeck and Lindsay Berman. 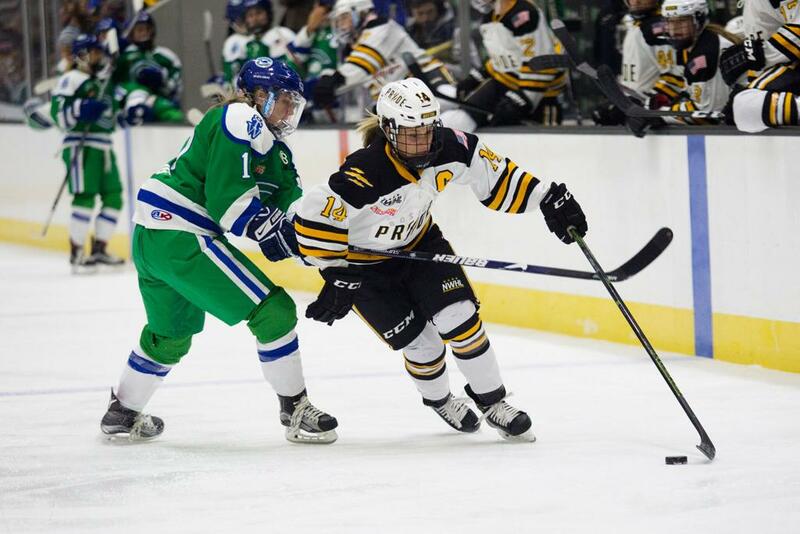 The Team NWHL roster will be announced before the end of the year. 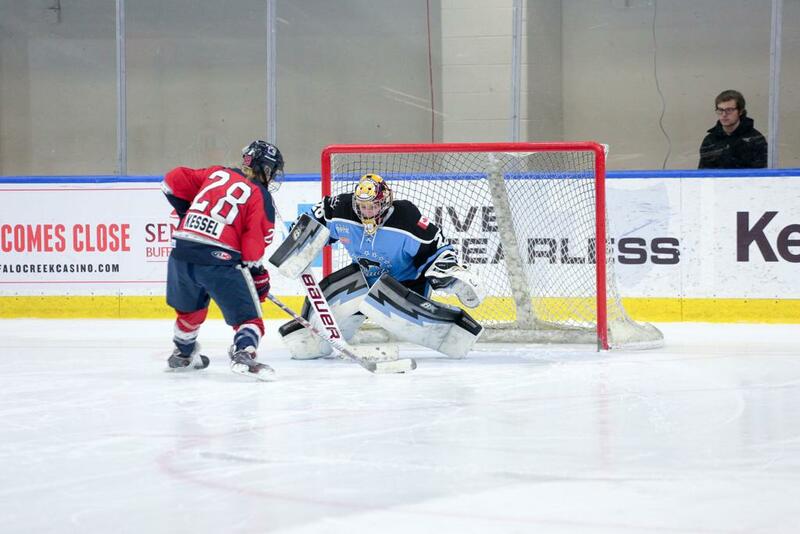 Eleven players training with the U.S. Women’s National Team played in at least one of the NWHL’s first two seasons: Kacey Bellamy, Megan Bozek, Alex Carpenter, Brianna Decker, Meghan Duggan, Amanda Kessel, Hilary Knight, Gigi Marvin, Amanda Pelkey, Emily Pfalzer and Haley Skarupa. Tickets will be available for $10 each with 50 percent of the proceeds benefitting The USA Hockey Foundation’s Friends of Women’s Hockey Fund. Further details about broadcast information and how fans can purchase tickets will be forthcoming.